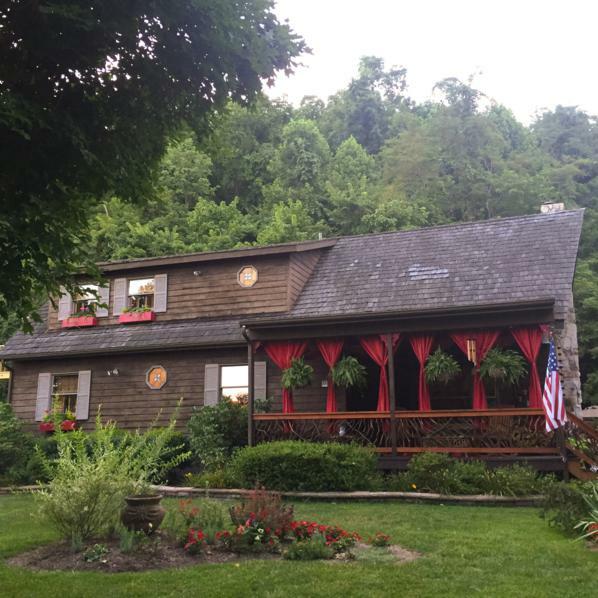 As you can see, this rustic pergola in Tennessee isn’t your ordinary landscaping structure. 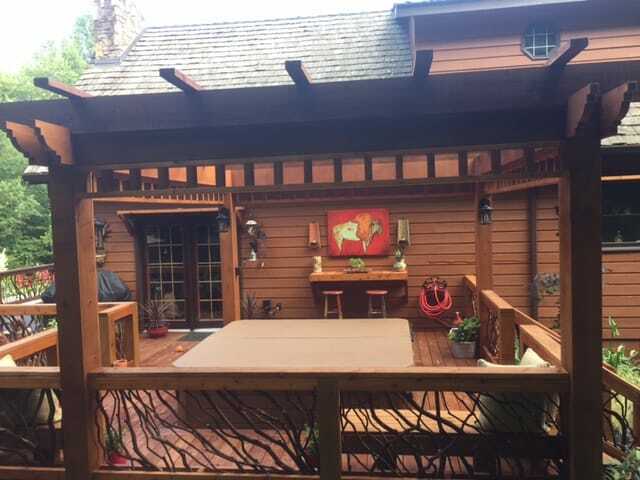 Its eye-catching details transform the yard into a charming and cozy outdoor living space… perfect for entertaining guests or relaxing alone in the hot tub. Let’s explore some of these extraordinary elements. Cut timbers and twigs shape the rustic pergola’s structure creating an unexpected visual contrast. Specifically, linear cross beams intersect at the roof maintaining the traditional pergola style, while curving branches twist and turn around the pergola’s perimeter. Notice the fine detailing nestled under the roof’s edge. 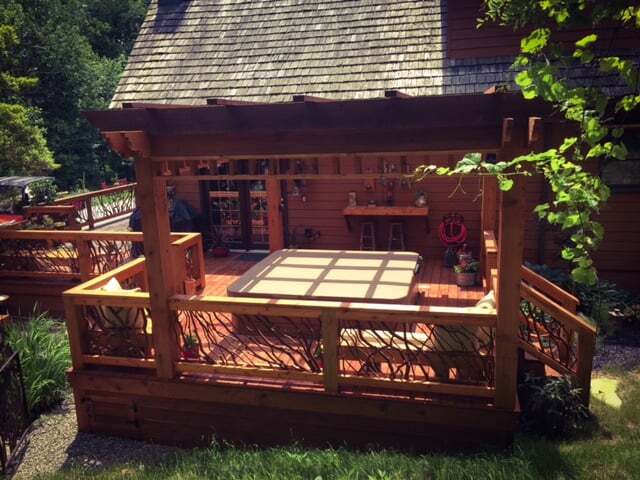 Clearly, genuine Mountain Laurel branch railings are a natural fit in outdoor structures. This is particularly true when mingled with nature’s other elements, such as feathery grasses and flowering plants painting the landscape. In order to create a cohesive look throughout this home’s exterior, the owners use Mountain Laurel branches and large wooden pillars time and again. 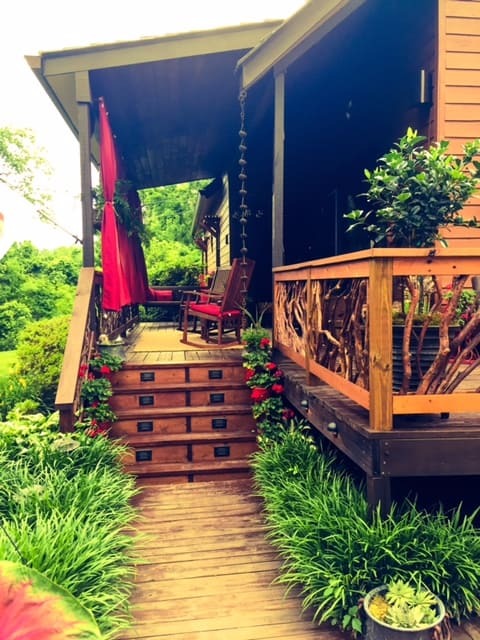 For instance, the textural materials used in the rustic pergola attached to the side of the house, also decorate this welcoming front porch. 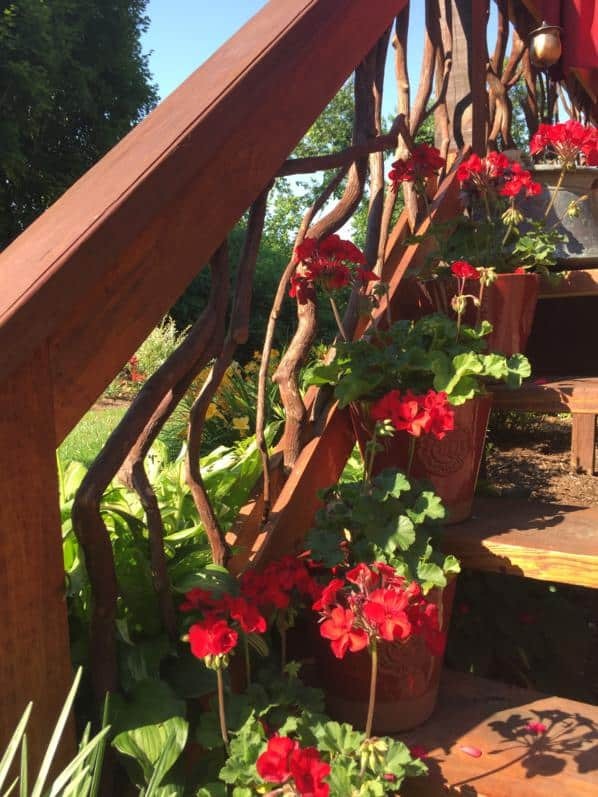 Additionally, in keeping with a rustic theme, Laurel railings line the deck connecting the pergola to the porch. And finally, rustic stair railings and pillars greet guests at the entryway. 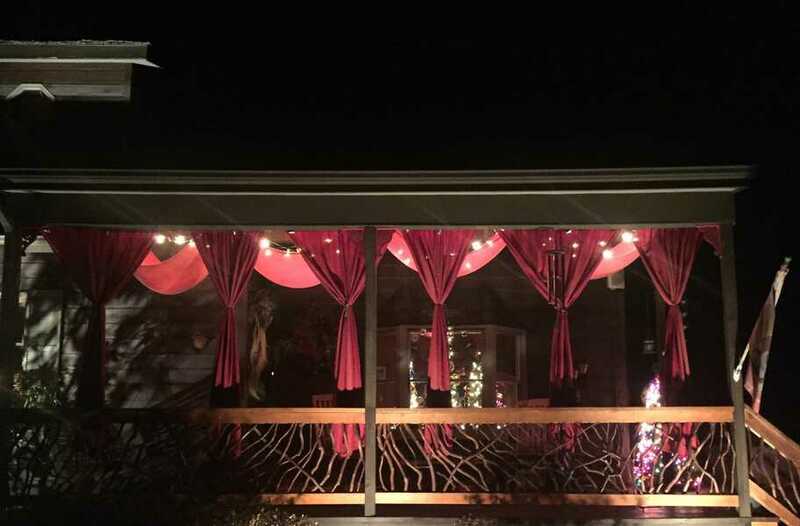 Outdoor lighting provides safety and clear vision at night, but just as importantly it creates eye appeal. Here, a string of lights along with bullet lighting draws attention to the front porch, noticeably illuminating the beauty of the branching balusters. Conversely, to shield the porch from the sun’s bright rays during the day, the homeowners installed vibrant outdoor fabric. 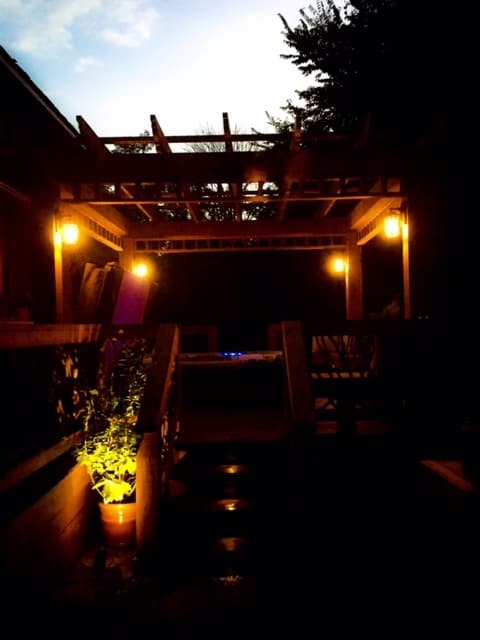 Again, here is an example of an attractive lighting scheme used in the rustic pergola with laurel railings in Tennessee. Notice how the light fixtures shine on the intricate woodwork in the pergola’s roof and railing. 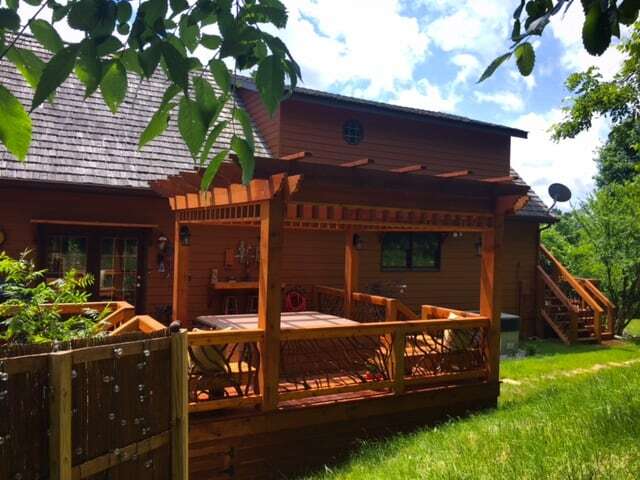 Using the rustic pergola with laurel railings as the focal point, the homeowners integrate other outdoor comforts to create the perfect outdoor escape. 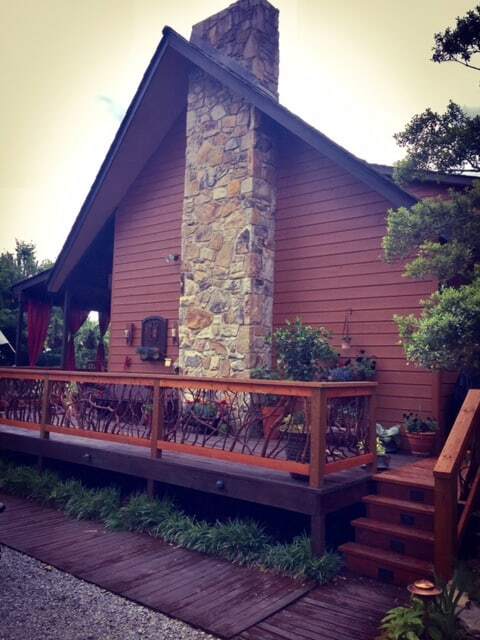 These amenities include — a patio dining set in chili red and a chiminea outdoor fireplace. 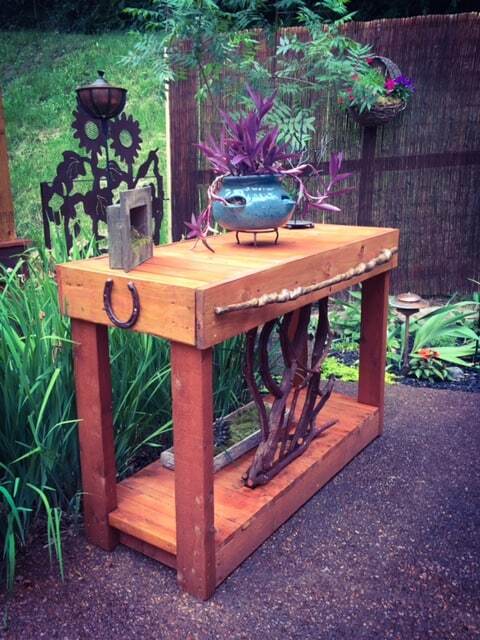 Like the pergola, these functional pieces also serve as garden art. 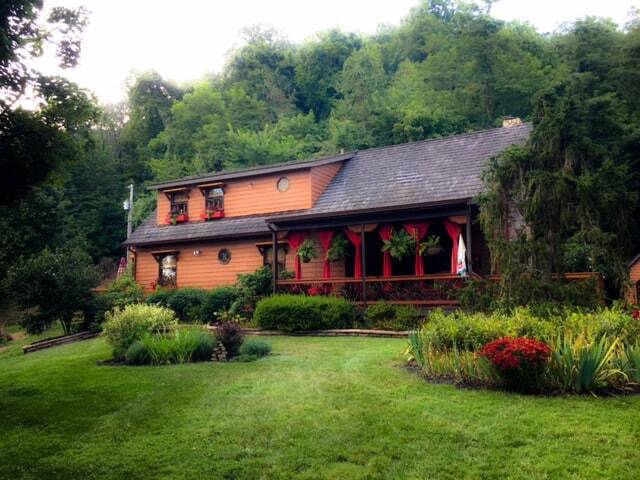 And of course, flowering plants add pops of color throughout. Here, a planting table is accented with Mountain Laurel branches. This is another good example of the fusing of function with art. Here is a close-up view of natural Mountain Laurel twigs with each artistically placed along the stairs. 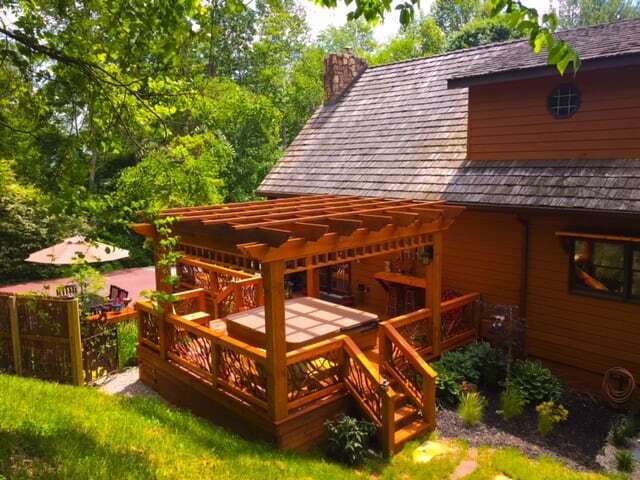 Pergolas can be freestanding or attached to a house like this rustic pergola in Tennessee. When joined, it becomes an outdoor extension of the home’s living space. For example, patio doors open right up to a hot tub, barbecue, and a sitting area. So, would you devote more time outdoors if you had a rustic pergola? 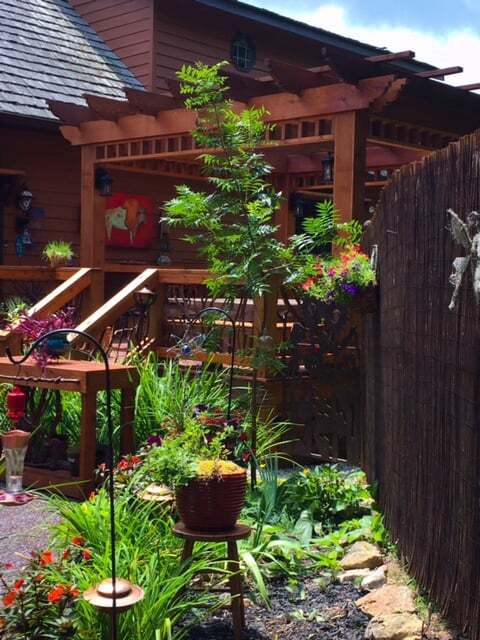 If yes, contact Mountain Laurel Railing to share your vision of the perfect outdoor escape.